Give Oh Giveaway – Cook’n Software And A $20 Paypal Or Amazon Gift Card!! Cook’n, Give Oh Giveaway, and Couponing with Boys, have teamed up with some other great bloggers to bring you a giveaway valued at $100! 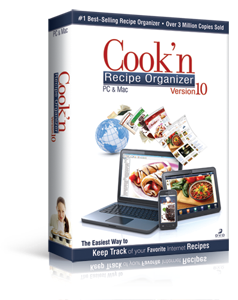 1 winner will receive a copy Cook’n Software and a $20 gift card (winners choice of Paypal or Amazon). We want this to be simple…Watch the short 2 minute video posted below. Then enter on the rafflecopter form by answering a question: What is one feature of Cook’n that you’d like to try out first if you won? Of course we have supplied optional additional entries as well. Choose as many or as few as you want! Easy….Right? Want to know more? You can read a full review of Cook’n HERE written by Give Oh Giveaway. These awesome bloggers joined in to present this giveaway, check out their pages when you have some time! Thanks to Cook’n for supplying the prize! Give Oh Giveaway-A stream of reviews, giveaways, shopping tips and tricks! Couponing with Boys!-Couponing tips, ad matchups, reviews, and giveaways! I’ve Got A Coupon For That-We’re about reviews, giveaways, couponing, saving money and freebies! Shoes, Fashion, Fitness-I do hauls, reviews, giveaways and other random posts! Money Saving Girl-A new coupon blog that is spreading the word on savings and shows you how to save tons of money!! A Delicious Obsession-A PR friendly blog that focuses on reviews, giveaways, parenting, family, babies, and children. Linda’s Angels-General opinions, entertainment posts, giveaways, product & book reviews, etc. Penny Shoppers-We offer coupons, reviews, giveaways, deals for the military at the PX and commissaries. Family, Love and Other Stuff -A blog about family, kids, recipes, reviews, coupons & lots of giveaways. DIY Fashionista-A fashion driven blog with free giveaways for the women who follow. Layne’s Thrifty Finds-Product, book and game reviews and giveaways. Kara’s Deals and Steals-Updates by the hour of the hottest coupons, deals, steals, freebies, free samples, and more! 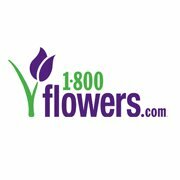 Long Island Coupon Queen-Money saving deals, store matchups for local and nationwide stores, online deals and more! Miss Jackie’s Views-Bringing you the very best in fashion, beauty, homemaking and children’s products. Saved By Grace– A Christian Living, Beauty, Recipes, Frugal Living and product reviews and Giveaways. Please check out their pages when you have some time. I think they may have something you just might want to hear about! Fill out as many or as few entries on the rafflecopter form as you want to. We have written a short description about each page above to help you know what they are all about. Please like the page and submit the entry when done. Reminder, the more entries you complete the BETTER your chances of WINNING! I recommend completing them all because this prize rocks! The giveaway will run from 12:01 am (eastern time) on Saturday May 5th until Midnight on Friday May 11th. If you can’t see the rafflecopter entry form click the “Read more” link below. Disclaimer: I was not given any monetary compensation for sharing this giveaway. Any opinions expressed above were honest and purely my own. May Buffet Giveaway May 1 – May 16th!! Welcome to May Buffet coordinated by ShePromotes! This event will take place from May 1st at 12:01am EST through May 15th at 11:59pm EST. It’s May! And for many of us that means the start of grilling and cookout season. Good food is great all year round, but there is just something about the warm weather that says bring on the steaks! I am sure you like to check out recipes shared by your favorite bloggers, so we thought we’d share some yummy prizes with you! Each blog listed below on the linky has a prize valued at $25+ for each winner – ALL FOOD RELATED! This means goodies to eat and items to help you fix, mix, cook, and serve delicious dishes. So let the May Buffet begin! For this Giveaway – I am giving a $25 Omaha Steaks Gift Card!! Disclaimer: Please note that Linda’s Angels, “May Buffet Giveaway Event” or the “May Buffet” bloggers are not responsible for sponsors that do not fulfill their prizes. We have represented each sponsor with the expectation they will fulfill their prize and in a timely manner. We will contact the sponsor regarding your prize(s). The sponsors, in most cases, are shipping their items to you directly. We will make every effort to assist you obtaining your prize. If there is an issue with a sponsor, please notify the blog you won a prize from within 4-6 weeks for assistance, after that we may be unable to assist you. AMAZON SUMMER BLOW OUT ~ 3 x $200 Amazon.com Gift Cards!! Oh yeah! We did it again! This time Acadiana’s Thrifty Mom has teamed up with SaleCamel to bring you a super-D-duper giveaway for 3 amazon.com gift cards! Yes, 3 lucky winners will each win a $200 Amazon gift card! Be sure to finish all the entries so you increase your chances of winning! This giveaway runs from April 30 until May 21. This giveaway is sponsored by SaleCamel and hosted by Acadiana’s Thrifty Mom and Baby Coupons & Stuff. Enter the simple rafflecopter form below. GOOD LUCK!This giveaway will be open to U.S. residents only. You must be 18 years old to enter to win. This giveaway is, in no way, affiliated with Facebook. The Ultimate Slow Cooker Giveaway – 3 Winners!! * This is opened to US citizens only. This giveaway will run from 9:00 p.m. EST on April 23 through 12:01 a.m. EST on May 14. The Ultimate Baby Shower Giveaway!! Just check out this prize list! Nursery Furniture: Crib and Dresser- Sponsored by your blogger hosts! Crib Bedding- Sponsored by your blogger hosts! Best part- you have so many ways to enter! Just fill out the Rafflecopter form below! Made From Earth 2 oz. Olive Night Creme Giveaway!!! As mommies with busy schedules, we are always trying to find ways to all natural ways to take care of our skin and health! I fell in love with Made From Earth products because they offered an all natural, healthy way to beautiful glowing skin! With the Summer coming soon, I find myself preparing for smooth glowing skin a few months beforehand. We’ve teamed up with Made From Earth and other great bloggers to bring you this Made From Earth Product Review and Giveaway! Personal Review of :I have had the opportunity to try a few samples of Made From Earth, and I am in love, love, LOVE with their Rosehip + Hibiscus Organic Face Serum! “This gentle Rosehip + Hibiscus Face Serum is recommended for sensitive skin. The serum is easily absorbed by the skin. Rose hips are a rich source of omega-3 and omega-6 fatty acids, and Vitamin C. The serum’s ingredients play a primary role in the regeneration process of skin cells and repair of damaged tissues. Hibiscus extract, with its antioxidant properties, blends perfectly with the Rosehip Oil and provides natural astringent properties.” I have found that lately my skin was reacting to some abnormal breakouts and I really felt like I was using too many chemicals on my face. When I took the holistic approach and tried this face serum, I could feel the nutrients absorbing into my skin! I saw a more smooth and even skin pigmentation and with this serum along with vitamin supplements, my skin had really turned around significantly! I love how soft and supple my face feels after using this product. The fragrance is as soothing as the feel, and although it is not a confirmed reason for using this product, I’ve noticed that my makeup application lasts longer since I’ve been using it. NOW here’s your chance to win a 2 oz. Olive Night Creme (Retail Value: $39.99)! Enter below on the Rafflecopter form! WELCOME TO THE KITCHEN AID MANIA GIVEAWAY! We are giving away a white KitchenAid KSM150PSWH Artisan Series 5-Quart Mixer to one lucky reader! This is a perfect Mother’s Day gift to every one who loves baking or simply just being in the kitchen! This was made possible by Bay Area Mommy, American Family and some of the most awesome bloggers! KitchenAid KSM150PSWH Artisan Series 5-Quart Mixer – Retail Value: $349.99– Color: White – 325-watt mixer with 10 speeds; 5-quart stainless steel bowl – Tilt-back head for easy access to mixture – 1 piece pouring shield with large chute for adding ingredients – Includes flat beater, dough hook, and wire whip – Measures 14 by 8-2/3 inches by 14 inches; 1-year warranty Giveaway will run from April 29 at 12AM EST to May 9 at 11:59PM EST. Open to the US only. Must be at least 18 years old to be eligible. With a couple of picky eaters in my home, sometimes I struggle with convincing the children to eat things that are healthy and good for them. We oftentimes search for alternatives that include the proper amount of nutrition and fiber to keep our little ones balanced, active, and healthy. I read about Sneaky Pete’s and their sneaky way of giving children healthy beverage alternatives and I jumped on the opportunity to give it a try! And to put the health back in your eating lifestyle, we’ve teamed up with Sneaky Pete’s Oat Beverageand other great bloggers to bring you this Sneaky Pete’s Oat Beverage Product Review and Giveaway! Personal Review of Sneaky Pete’s Oat Beverage:Delicious and received ‘8’ thumbs up (from four children, at least. Haha!). They had NO clue how healthy Sneaky Pete’s Oat Beverages really are! And they drank every drop of it! The fiber and nutrients each beverage came with gave them just the right amount of portions to keep healthy and balance their internal systems. The beverage was smooth going down and not too thick and creamy – it was truly a beverage. The fun cartoon images kept the children entertained enough to think it was a juice packet too. I also tried the Apples Away flavor and I really love that it tastes so delicious and healthy! I highly recommend for those with picky eaters in the family (old and young)! NOW here’s your chance to win a Case of Sneaky Pete’s Oat Beverage – 12 Bottles of Mixed Flavors! Enter below on the Rafflecopter form! Everyone loves their mom and always wants to find the best gift to make her feel loved and appreciated. These are the gifts I have found and would love to share with you. After you enter my giveaway head over to Makobi Scribe to see her mothers day gift ideas worth over $3000. Then stop by Sason & Pobi to enter the grand prize drawing of a Toshiba 32SLV411U – 32″ class 720p 60Hz TV/DVD Combo! Toshiba’s SLV411U provides excellent HD viewing, outstanding sound and renowned Toshiba innovation—without the clutter. Discover all-you-want entertainment plus all-in-one convenience with Toshiba’s SLV411U LED DVD Combo HDTV. With its size—32″ class plus its smart, ultraslim profile and built-in DVD player, this set is ideal for kitchen or bedroom settings where extra cables and components are a no-go. And a convenient PC input makes it easy to present home media or use the TV as a bigscreen monitor. Packing great Toshiba quality, reliability and innovation, the SLV411U offers excellent imagery and sound. While our exclusive DynaLight™ backlight control selectively punches up blacks and reduces highlights for a more balanced, true-to-life picture. Looking for a TV that plays DVDs as well as excellent entertainment? Choose Toshiba’s 32″ class SLV411U LED DVD Combo HDTV. DynaLight® – Automatically adjusts the backlight intensity based on the image content. Gaming mode – Enjoy hair-trigger action on your Toshiba TV with a special setting that reduces game controller delay. HDMI port – Scale up your gaming, movies and music on a home theater – with full 1080p high-definition video, and amazingly immersive surround sound. Are you excited? Enter the giveaway for the Toshiba TV/DVD combo here.